A quick look at my latest creations. So much fun to make and I loved using stuff from my stash! The hardest part of making these "characters" was waiting for the glue to dry. 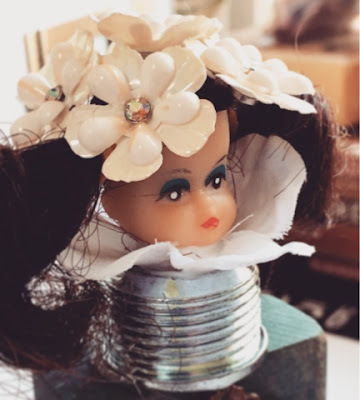 The doll heads came from Knack, a creative reuse center that takes donations, teaches classes and sells unique items. 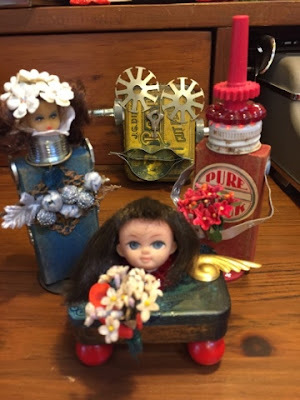 Glad to recycle doll heads, buttons, metal doodads, old wooden blocks and vintage tins into unique, fun characters like these! Do you have a favorite? Thanks for dropping by the mustard today! An exploration of ART, the colors, textures and beauty that come from experimenting with unique materials and embracing the "what ifs". 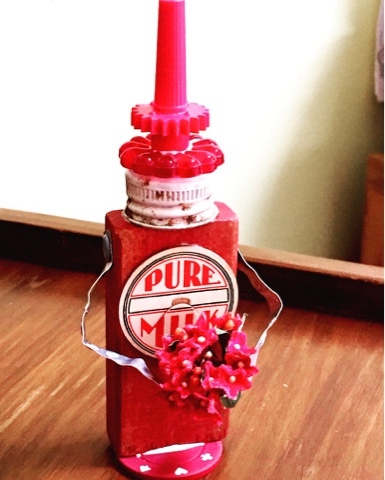 My goal with "the mustard" is to encourage you to find your own creative outlet. I am a mixed media artist, writer and photographer. 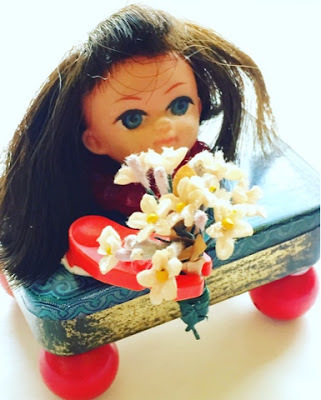 I use vintage, recycled and unique items to create pieces that look beautiful from any angle! My favorite part of creating is sharing it with y-o-u. enter your email here to get the mustard there. No worries as I will never share these addresses.